So. 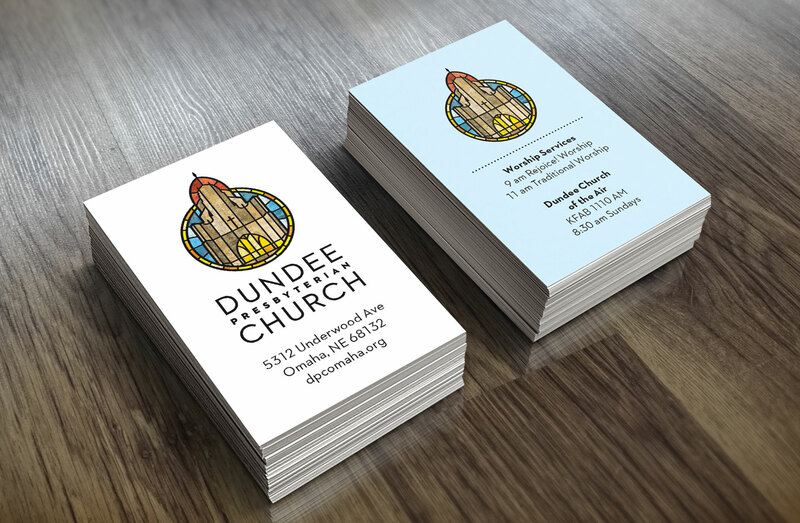 How do you update the branding for a church that was founded in 1901 and moved into its current facilities in 1928? 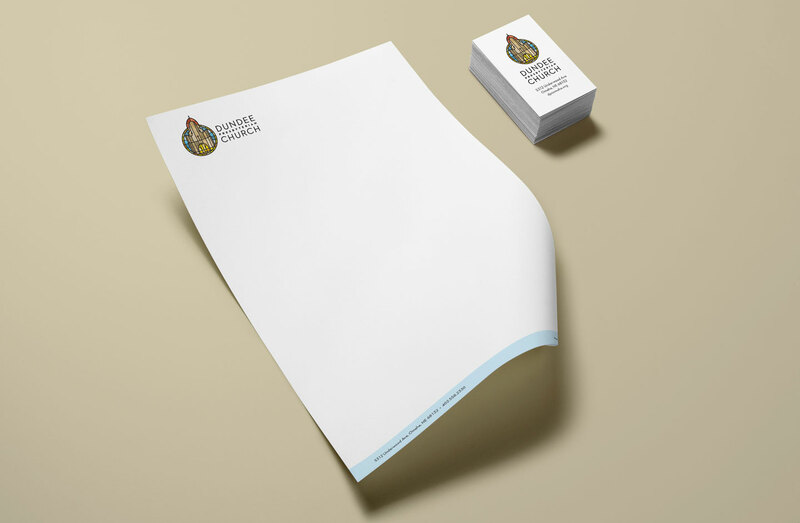 As the old joke goes, very carefully. 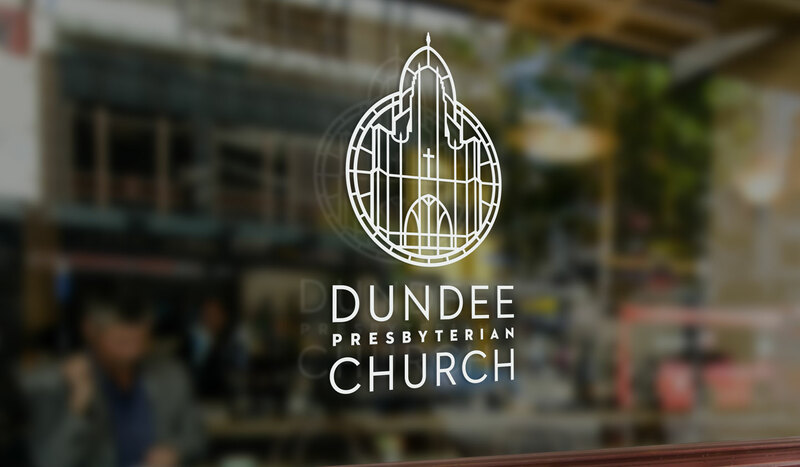 Unsurprisingly located in the historic Dundee area of Omaha, Dundee Presbyterian Church faced the same struggle many older, non-quite-suburban churches do – attracting new visitors, especially of a younger generation. 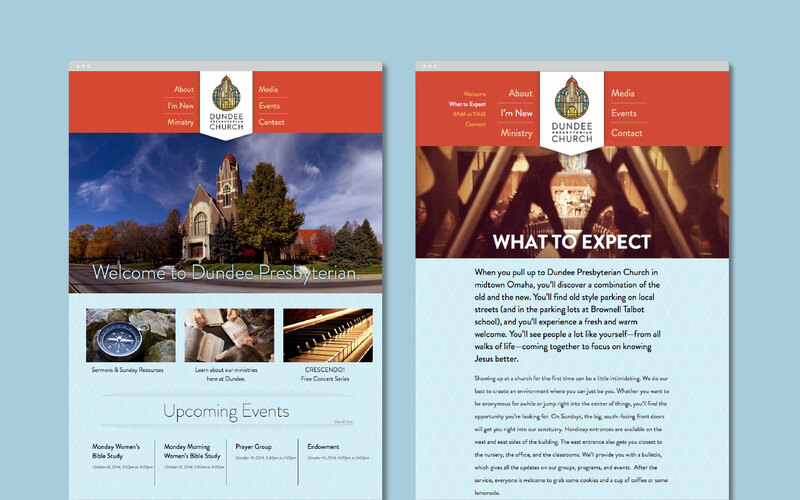 To help them accomplish this, we framed their iconic steeple in a stained-glass motif that is at once classic, yet contemporary – a trait we endeavored to extend through to the typography and website design.